Brendan Ryan grew up on a dairy farm at Panmure in Western Victoria. One of ten children, the themes of farming and family have influenced his poetry for over twenty years. His first chapbook, Mungo Poems was published by Soup publications in 1997. His first collection of poems, Why I Am Not a Farmer, was published as part of the New Poets’ series by Five Islands Press in 2000. A Paddock in his Head was published by Five Islands Press in 2007 and A Tight Circle was published by Whitmore Press in 2008. His latest collection of poems is Travelling through the Family, which will be published by Hunter Publishers in 2012. 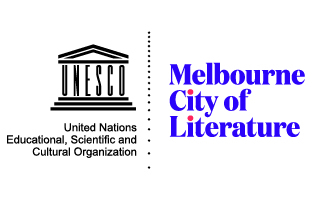 He has had poems and essays published in newspapers and journals such as The Age, Australian Book Review, Meanjin and Heat. He has had poems published in the Best Australian Poetry series (Black Inc.) and The Best Australian Poems series (U.Q.P). He has been awarded three Australia Council grants and in 2008 was awarded a Varuna Longlines residency. 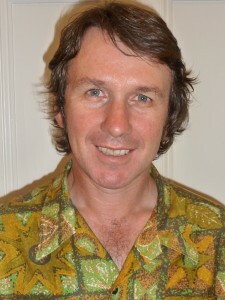 A Paddock in his Head was shortlisted for the 2008 ACT Poetry Prize. He teaches English at a secondary college in Geelong and lives in Geelong. It is a ten-minute drive to work through a leafy suburb, which also takes me over a single lane bridge where drivers have to wait for each other before they can pass over the bridge. A great exercise in democracy in the early hours of each day. Once at work, I walk up to the school library, collect my copy of The Age newspaper, glance at the headlines and front-page articles and make my way to my staffroom. I am lucky to have a desk that overlooks a lawn and small garden of Clonard College where I teach English and Religion in the lower years of secondary school. Once I have worked out that I have the lessons of the day planned, photocopying is done, school emails have been checked, chatted with other teachers who sit nearby, it is off to the classroom. What happens in the classroom varies from week to week, but a lot of the teaching involves explaining different ways of writing, be they essay writing, poetry, reflective writing, short story writing of 100 words or 600 words. There is also a lot of helping students within the class, walking around to their tables to offer help, having a word to the students who may be distracted or want to muck around. We have two 50-minute lessons, which start at 8.50 and continue until morning recess at 10.35. Period 3 begins at 11.00 and period four ends at 12.40 when it is lunchtime. Twice a week I do a yard duty for a ten-minute interval. The afternoon periods begin at 1.35 and the teaching day ends at 3.15. At the end of each day I decide what work needs to be taken home and what can stay until the next day. I usually have to pick up my children from their primary school straight after I finish, so I don’t have a lot of time to hang around after school. I mark essays and other school work each weekend and sometimes twice a week. But the marking varies…. Throughout the day I will have many short informal meetings or chats with teachers and usually correspond with parent enquiries as well. Well it is, in the sense that it is something that I return to as often as I can. Discipline is needed to get back to the desk as much as I can. It can’t be quantified in terms of hours put in and payment for those hours, so in that sense I guess that it is a hobby. I prefer passion or obsession, or nagging urge that makes me want to write poems. Also, editing a poem is like work, skills that I have picked up over the years. This varies of course. As a general rule, a poem may take up to a month to be written. This includes the time after first draft that I leave it sit for a few days, then weeks, tinker with it, sometimes make big changes. The initial drafts are generally done over one or two days. I always write the first drafts in pen, this may be three or four versions before I put it on the computer. I have to be happy with it before I put it on the computer where I play around with the layout and spacing etc. But may of these decisions have been made in the first drafts. I often have ideas or lines come to me when I am driving, in the shower etc, and so I will think about the poem before I write it. Sometimes poems are inspired by other events or poems and the poem that I intend to write is more or less planned in my head in one form. I just have to get it down quickly before it disappears. It isn’t intentionally, although I wouldn’t mind if it became one. I think work doesn’t get written about enough in Australian poetry. It takes up such a large part of our lives and time, it is amazing that we don’t read poems about a variety of jobs, be they bricklayers, teachers, nurses etc. 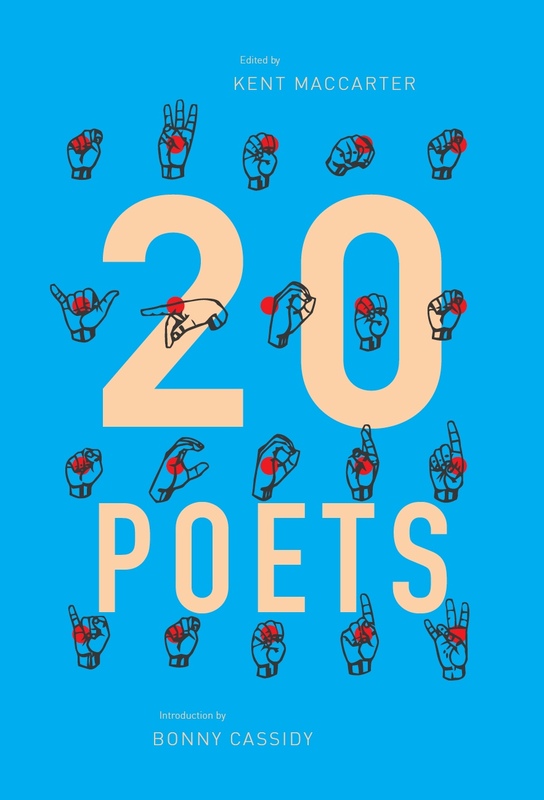 This issue of work poems does relate to the jobs that poets have done of course and that the people who take time out to write poetry may not be in the thick of a job that demands all their time. I have written a few poems about work indirectly and may do more so in the future. Naturally, we’d all rather be paid for our efforts, however there are instances that I think it is worth doing something if it raises other people’s interest in what I write. I decided long ago that poetry wasn’t going to make me rich. I think that the smallest amount that I’ve been paid is $10.00 from Famous Reporter, which considering all the work that the editor Ralph Wessman does in bringing out the journal, which has now folded, I don’t complain about. However small the amount, it is still a recognition of the poem that is being published. I moved with my family, this year and I have a room where I write at the back of the house. I also had another room in the previous house where I wrote. In this room, is a big old desk, acquired second hand years ago, two large bookshelves, one stacked with poetry and some biography, the other fiction and non-fiction, biography etc. I look out to trees and the awning which hangs over part of our back yard. I can hear birds, sparrows and hummingbirds, crows. During the day, the sound of cars on a nearby road rises and falls to the rhythms of the day.I am lucky to have this space away from the rest of the family as it is mostly quiet, however, I don’t get back here as often as I would like because of work and family commitments. On my desk are various notebooks, a journal, one or two poetry books and a quote from Thoreau- Live the life you’ve imagined. Well, at a least a grand! I guess that it depends on the length of a poem. I think for publication in a journal, it should be $200.00. There are many poetry prizes around now, and $10,000 does seem to be a bit unreal as far as payment for a single poem. I guess the recipients of prizes like that have to pay tax on it. I think that two or three thousand is enough for a poetry prize. I would like future poetry prizes to have a social justice element to them, where by the winner accepts say $1000.00 for the poem and another thousand goes to helping alleviate poverty in Africa or Asia, or contributes to health programs. When poets enter the competitions they would have to agree to these conditions. This could also give poetry greater recognition. No, not on other people’s poems or for a magazine. Only on my own and I have enjoyed the experience. I have given plenty of advice to other poets who have sent work to me, but that is different, I guess. I used to when I was younger and more full of myself. I have since seen the error of my ways and now I’d be embarrassed by such a moniker. I tell people that I write poetry and that often receives an incredulous smile and various questions. Often other people call me a poet and I have been introduced as a poet, which usually embarrasses me. Not a poet, as there wasn’t any real connection to poetry in our family beside John O’Brien’s Around the Boree Log. There weren’t a lot of books in our family. Most people around me were working on farms, in local factories or leaving the country to go to uni and work in the city. For awhile I wanted to be a footballer, then a singer. Once I started working I was happy to be a labourer and earn a wage so i could go out and get drunk. One of the reasons that I moved from the country to the city was to be a dj in a radio station. Well that didn’t work out, but I did pick up something about writing, through copywriting ads for supermarkets that I was practising. Once I went to uni. in Melbourne and became exposed to books more, the direction that I wanted to follow became clearer. In short, I guess I have stumbled along to find my own path. Now I am teaching part time and writing when I can, which is generally good enough. Brendan Ryan’s ‘Factory Boys’, first published in Cordite 27: Experience (2008), has now been republished as part of the Cordite / Prairie Schooner ‘Work’ feature. This entry was posted in GUNCOTTON and tagged Brendan Ryan, work. Bookmark the permalink.